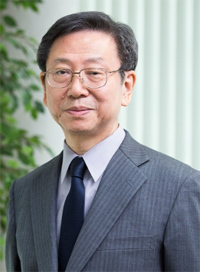 The 2016 JNA Awards is presenting its most prestigious honour -- the Lifetime Achievement Award -- to casting solutions specialist Shouzui Yasui, Chief Executive Officer of Tokyo-based Yasui & Co. Yasui, recognised for his dedication and significant contributions to the jewellery and gemstone industry, will be receiving the accolade at the JNA Awards Ceremony and Gala Dinner scheduled for 14 September at the InterContinental Hong Kong during the September Hong Kong Jewellery & Gem Fair. The JNA Awards is regarded as one of the jewellery and gemstone industry's most prized honours, recognising enterprises and individuals that have demonstrated excellence, leadership and innovation, with a special focus on Asia, and whose ideas and actions have made a positive impact on their businesses and communities. Letitia Chow, Founder of JNA, Director of Business Development -- Jewellery Group at UBM Asia, and Chair of the JNA Awards Judging Panel, said, "Mr. Shouzui Yasui well deserves the JNA Lifetime Achievement Award honour. There are two known 'blue boxes' in the jewellery industry. One is represented by a high-end consumer brand that has come to symbolise gifts of special significance. The other represents a jewellery casting company that the trade associates with high-quality and cost-effective manufacturing solutions. The latter is Yasui's 'blue box'. Wherever there is jewellery manufacturing in the world, one can find Yasui's Vacuum Wax Injector. His contribution is noticed and felt widely throughout the industry." Yasui is a name that has long been associated with casting solutions for the jewellery industry. It started developing its Vacuum Wax Injector in 1980, which was marketed globally starting from 1983. In 1991, the company commenced exports of its casting machines. Three years later, Yasui launched its electric Rotating Burnout Furnace. In 2002, the casting expert released its Digital Vacuum Wax Injection System. Ten years later, Yasui rolled out its third-generation wax machine, ALTIMA. "Yasui's casting solutions, starting from the wax injector, were seen as pivotal in the mass production of jewellery, which consequently made jewellery accessible and affordable to many. This spurred on demand, triggering a ripple effect across precious materials suppliers, gemstone and jewellery manufacturers, wholesalers and retailers. These innovations changed the way jewellery was marketed and sold," said Albert Cheng, a member of the JNA Awards judging panel and an advisor to the World Gold Council. Shouzui Yasui said he couldn't have been more surprised and delighted to be the recipient of this year's Lifetime Achievement Award. "For 44 years, I have dedicated my life to the development of casting solutions for the jewellery sector. I am thrilled and deeply thankful for this significant recognition. This accolade represents what decades of hard work and determination can accomplish. It is a great honour to be the recipient of JNA's Lifetime Achievement Award," said Shouzui Yasui. The fifth edition of the JNA Awards is led by Chow Tai Fook, Gemfields and Rio Tinto Diamonds as Headline Partners, with Diarough Group, the Israel Diamond Institute Group of Companies, Shanghai Diamond Exchange, Guangdong Gems & Jade Exchange, and Guangdong Land Holdings Limited as Honoured Partners.